The 2018 Ulster TT saw Local racer Jim Lee take a win in the 1st Final over Alex Wynn and Thomas Magill in 3rd. Matt Book produced a great run to end on the same lap as Alex and Thomas, in 4th. 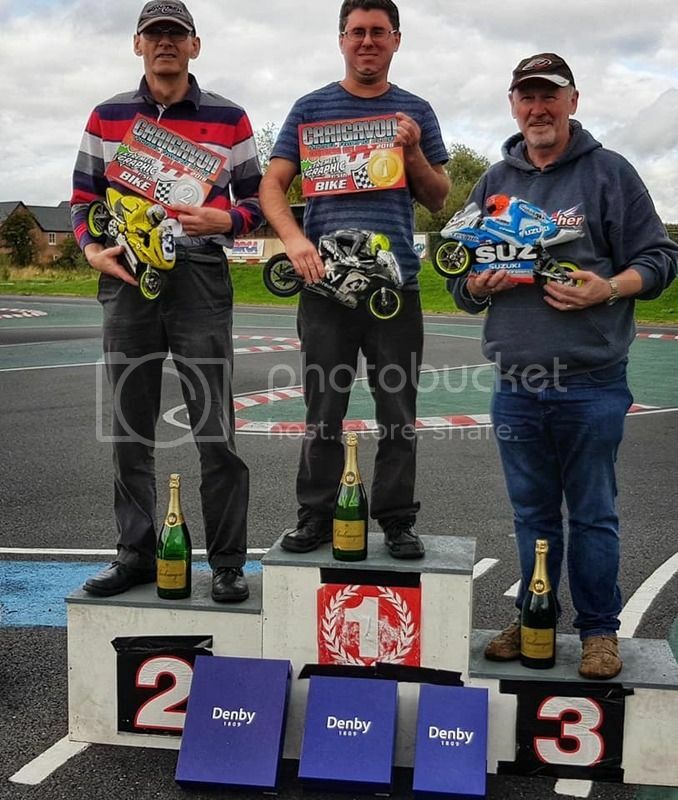 Dave Richards with the only "non Jabber" Bike was 5th, Russell Armour in his first racing season took 6th and Mark McCormick 7th. The second leg Final saw Thomas take full advantage of some early crashes to build a lead chased by Jim and Alex.....a spectacular wheelie from Jim when accelerating out of a corner when he hit one of the many rubber "marbles" from the cars saw him crash out to let the battle between Alex and Dave pass. Good fun and great company as ever, shame your numbers are so low! I do love that track combined with 10.5 blinky and GRP R3s for the slides, how I held anything together with an R1 on the rear in that 2nd final that ended up bone dry I don't know! Hope your numbers pick up, must get boring just the 2 of you and it would be a shame if we lost the Ulster TT for the bikes.